- One of a kind, handmade Bidjar design rug lovingly woven by our weavers. 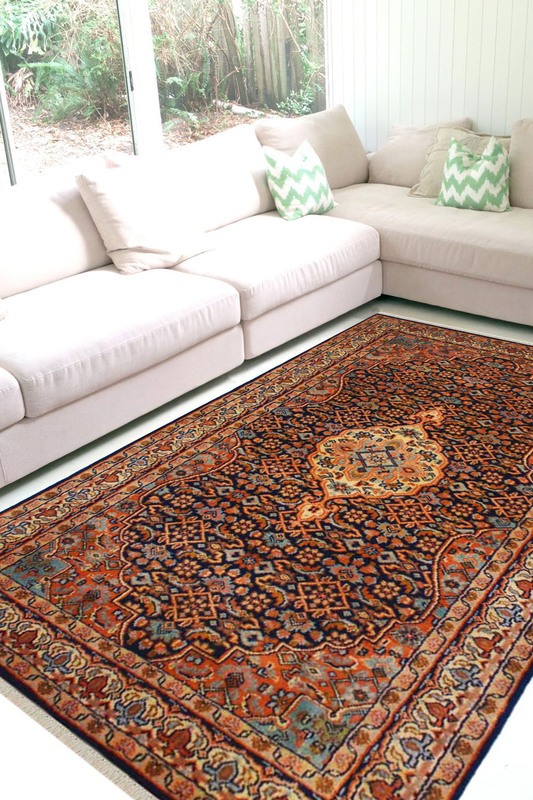 - The detailed design and pattern make this gorgeous rug a unique one. - It is made of 100% New Zealand wool and it has taken about 4 months to weave this rug. - The design has been originated from 19th-century artwork from a city in Persia called bidjar. - Main colors are royal blue, rust, and camel with tinges of ivory on the intricate border. - The center of the rug has a tiny motif with a floral design pattern. - This rug is perfect as a featured rug in any given space or can also be used as a wall hanging.